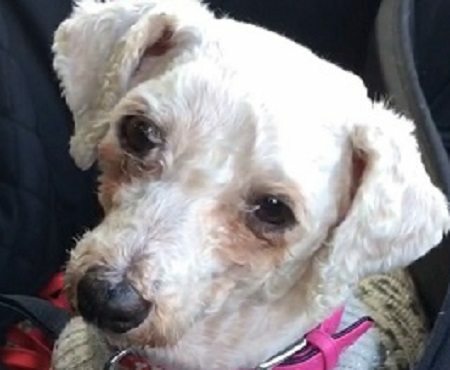 Bonnie is a 4 year old female Bichon Frise. Bonnie has come to us to find her forever home now that she is no longer required for breeding. She is as you would imagine very nervous and will need patient understanding new owners. 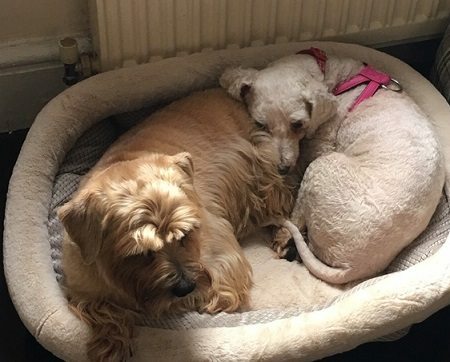 She will need to be re homed with at least one other similar sized dog to help her adjust to life as a pet. She has never lived in a home before so everything is new and rather scarey for her. She is adjusting well in her foster home but her training will need to continue in her new home. Bonnie is okay to be homed with older teenagers who understand she is fearful and will need time and patience. She cannot be re homed with younger children as she would be to fearful. She is gaining confidence every day and it’s lovely to see a cheeky little girl beginning to understand she is safe and cared for. 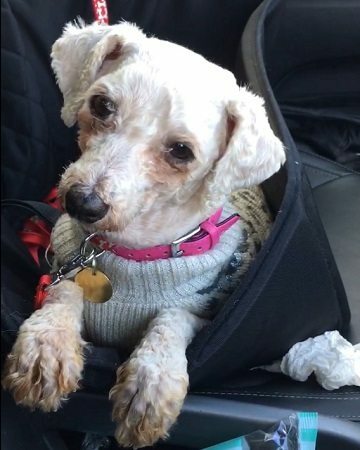 Bonnie loves other dogs and enjoys meeting them on her walks. She walks beautifully on the lead, after the first five minutes of anxiousness and tangling legs in the leads, she settles and follows her two foster friends. Bonnie she doesn’t pull. House training is hit and miss – but now we are in a routine of walks, and her foster knows her signals she is improving. 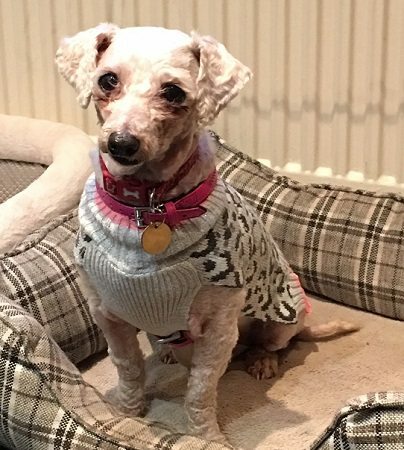 Bonnie is an absolute little sweet heart, and will make a lovely loyal little dog. She will need new owners who are around for most of the day and who have the time and patience to continue the work her foster has started with her. Those who have experience of very nervous dogs or ex breeding dogs would be best for this little one. Bonnie has been neutered, vaccinated and micro chipped and is up to date with flea and worming treatment. She is currently being fostered in London W13.